Orange Shirt Day is September 30th. On this day, we remember the Indigenous children who were sent to residential schools in Canada, wearing orange to honour them and to acknowledge the damage inflicted by these schools. September 30th was chosen as this was the time of year when children were taken from their homes to residential schools. It also provides an opportunity for schools to begin discussions about and implementation of anti-racism and anti-bullying policies. Learn more about Orange Shirt Day and find resources and ideas for teaching activities at http://www.orangeshirtday.org/. Orange Shirt Day was inspired by Phyllis Webstad. 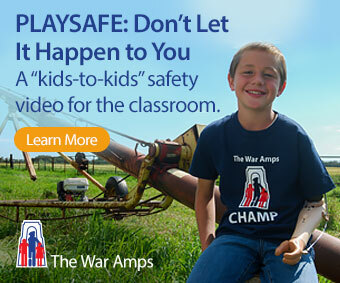 When Phyllis turned six she was sent to a residential school for the first time. On her first day at school, she proudly wore a shiny orange shirt that her Granny had bought for her. When she arrived at school she was told that she could not wear her favourite shirt. It was taken away from her, never to be returned. 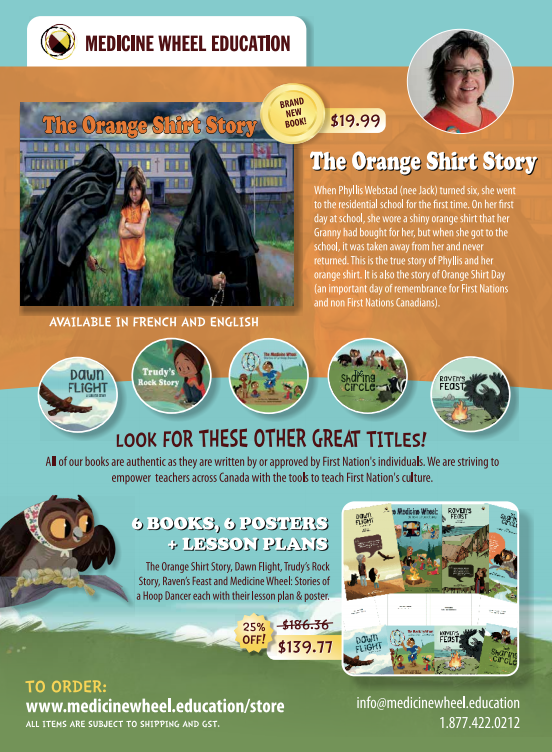 Learn more about Phyllis’s story and Orange Shirt Day in The Orange Shirt Story, written by Phyllis Webstad and published by Medicine Wheel Education in English, French, and Shuswap: https://medicinewheel.education/product/the-orange-shirt-story-english/.